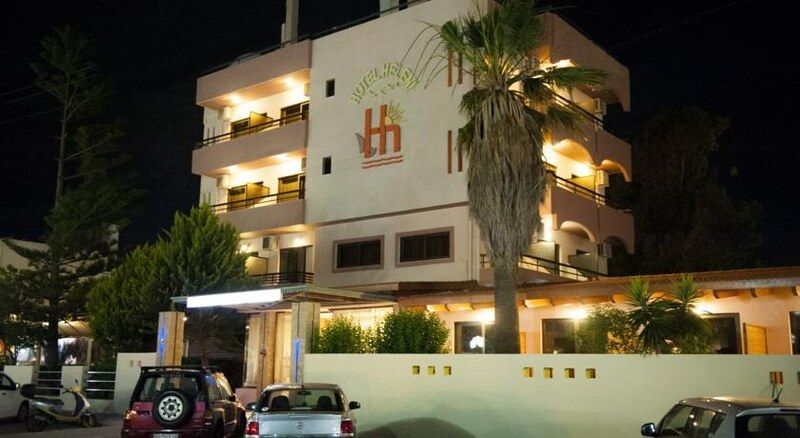 The Heleni Beach is located in the heart of a popular resort on the island of Rhodes. Within 70 meters guests will find the beach of Lalisos which has a clean ocean and is great for soaking in the sun. Here guests will also find a variety of entertainment options including water sports. Lalisos is an ancient city that dates back to 1500 B.C. and is located on the northwest of the island. In the surrounding area guests will find shops, taverns, bars and cafes that make for a vibrant nightlife. The hotel is a great choice for couples and small groups looking for a flexible accommodation in a great location. Within a short distance guests will find themselves in the heart of town where there are many shops, bars and taverns. 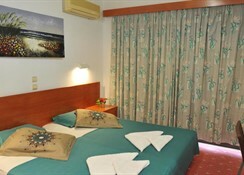 The hotel has a great location, just a short distance from the beach and within easy access of the towns centre. The hotel features an outdoor swimming pool which is surrounded by a sun terrace equipped with loungers and there is a pool side bar to grab a refreshing drink. Within a short walk guests will find themselves on a great beach which offers a number of entertainment options. There is a poolside bar which offers a variety of drinks and is a great place to start a night out. A breakfast is available on request at a sur charge and in the surrounding area of the hotel guests will find a number of restaurants, bars and taverns that makes for a great nightlife. 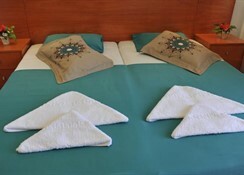 The Heleni Beach Hotel is made up of 32 double guest rooms which all offer a clean and comfortable accommodation. 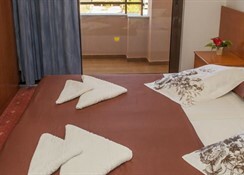 All rooms are equipped with individually controlled air conditioning, a fridge, safe, a furnished private balcony of which most have sea views, a television and a private bathroom with shower or bathtub and hairdryer. There is an internet corner in the hotels lobby and certain amenities may be payable locally.